"I am sick with love." These five words say so much. Love is like a sickness and it affects the entire human race. This line comes from the Hebrew Bible as part of a collection of poems known as "the Song of Songs." And they are words that still speak to us today. The Song of Songs confounds and tantalizes the faithful. It seduces composers, inspiring works by Monteverdi, Bach and contemporary composer Nico Muhly. In fact, there are dozens of musical settings, each dancing between earthly pleasures and heavenly aspirations. Stage and screen star Jessica Hecht ("Fiddler on the Roof," "Breaking Bad," Dan in Real Life," "Sideways") hosts "The Bible’s Great Romance: The Song of Songs," a one-hour special of this sensuous verse married with choral music. Each week on Shelf Discovery, host Kristin Dreyer Kamer offers listeners a brief look inside the pages of a new book. From mysteries to memoirs, classics to chick lit, busy readers are sure to find plenty of picks to add to their shelves. 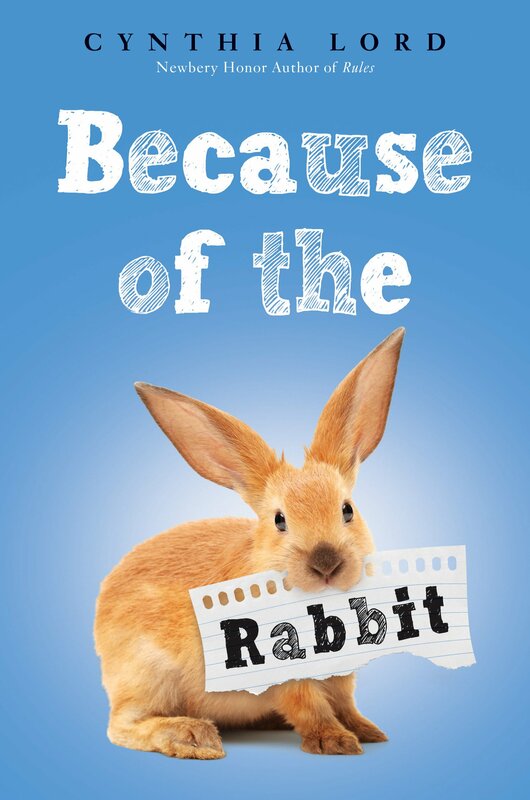 On this week's show, Kristin starts school with an anxious little girl in Because of the Rabbit by Cynthia Lord. As Casting Director, Richard has worked on Ken Loach's Bread and Roses, Christopher Guest's For Your Consideration and A Mighty Wind, Gravity, Zero Dark Thirty, On The Road, Hell or High Water, Reed Morano's Meadowland, and an upcoming live action version of Lady and the Tramp. He was an Emmy winner for HBO's Game Change as well as a three-time Emmy nominee for Recount, Temple Grandin and the series Curb Your Enthusiasm. Other work for television includes Married, The No.1 Ladies Detective Agency, and Scream Queens. Richard has worked on a variety of independent projects over the years like Permanent Midnight, Charlie Bartlett, Citizen Gangster, Stockholm, Pennsylvania, Weightless, Alex Strangelove, O.G., and The Mustang. Celebrate Valentine's Day with classical music that is passionate, bold and affirming - along with gentler tunes that play like soft musical caresses. Present a sweetheart of a music special this Valentine's Day. Love Greetings, hosted and produced by Mark Perzel, Executive Producer at WGUC in Cincinnati, evokes romance in music and words. The program is a thoughtful mix of symphonic, chamber and vocal music designed to provide the perfect accompaniment for a romantic candlelit evening at home with a loved one. The two-hour broadcast offers listeners a sampling of romantic classical music favorites intermingled with beautiful poetry and tales of grand passion and tragedy. Love Greetings couples melodies that are passionate, bold and affirming with gentler tender tunes that play like soft musical caresses. The pieces were selected to evoke feelings of romance and passion in both mood and tone. Not all were written with love in mind, but each of the melodies will touch the heart. Love Greetings features classical music pieces including works by Rachmaninoff, Vivaldi, Puccini and Pachelbel. The musical program is beautifully complemented by passages from the romantic writings and poetry of William Shakespeare, Richard Bach and William Butler Yeats, as well as composers Robert Schumann, Hector Berlioz and Wolfgang Amadeus Mozart. Canadian pianist Janina Fialkowska gives a varied solo recital at The Frick Collection. A longtime presence in the music world, Fialkowska has performed with nearly every leading orchestra in North America, as well as ensembles on other continents, such as the London, Israel and Hong Kong Philharmonics. A prize-winner at Radio Canada’s National Talent Festival and Arthur Rubenstein’s inaugural Master Piano Competition, as well as many others, she was the subject of an award-winning documentary called "The World of Janina Fialkowska." In 2002, Fialkowska’s career was put on hold as she was diagnosed with shoulder cancer. In 2010, she returned to performing a full concert schedule and this concert marks Fialkowska’s return to the New York stage. Known particularly for her interpretations of Chopin, Fialkowska performs two waltzes, two mazurkas and a scherzo. — Adaskin Trio; Tom Gallante, oboe. Frédéric Chopin: Waltz in E Minor, Op. Posth. Franz Schubert: "Death and the Maiden"